You finally made it to college (woo! ), only to be immediately overwhelmed by classes, work-study, academic clubs and parties: Welcome to adulthood. Sort of. Career-wise, you’re doing great–keep it up–but don’t be afraid to let yourself unwind. The tricky part is where. It can’t be your dorm room because you never know when your roommate, hook-up buddy or the pope will make appearances. Instead, check out this treasure map of seven hidden (and not-so-hidden) havens near the University of Florida campus. Confession: I didn’t even know the observatory existed until I was required to go for a class (literally one semester ago). I swear this is the one time I was grateful for a requirement. To get to this small roofless building, go down Museum Road, west of the Aerospace Engineering Building and south of the Reitz Union parking lot. Obviously, go at night, and look for a path of spherical white lights. 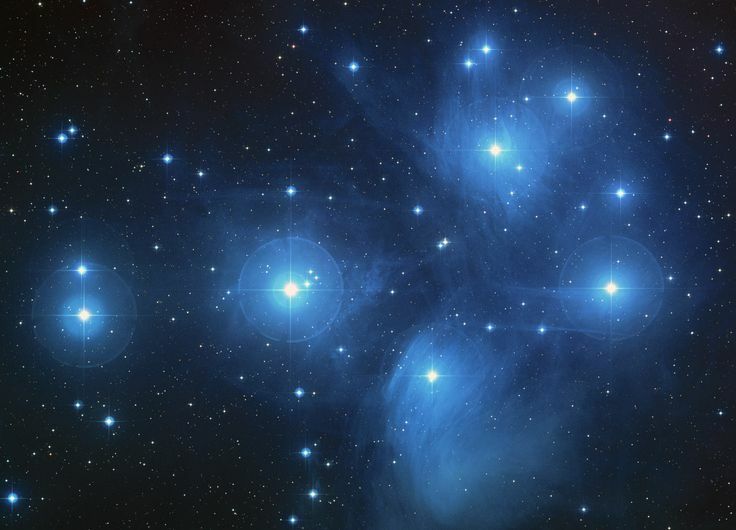 The people there will help you spot planets, nebulae, constellations and more and–thank the moon gods– they’ll actually explain what that rando squiggly line of stars means. Fellas, think two words: date night. Bob’s River Place is about a 45 minute drive, but well worth the blow to your gas fund. 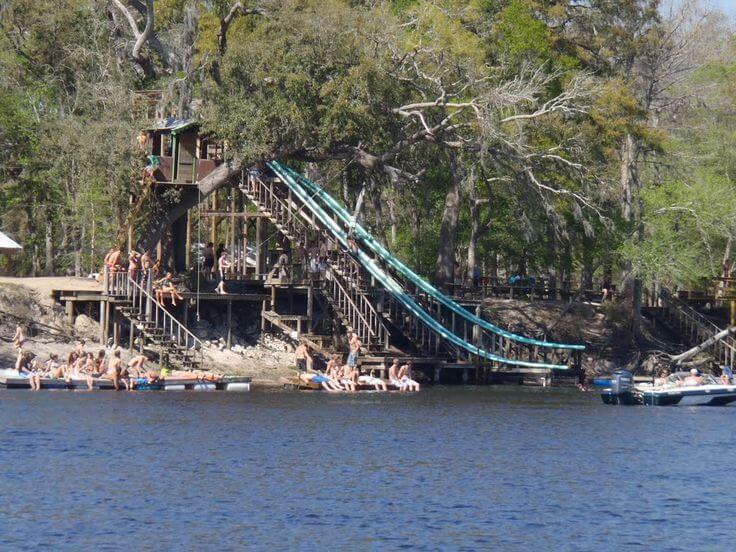 This place features huge rope swings and slides into the river. Parking is $20 per car, which is very affordable if you bring a group. And drum roll, please, there’s picnic tables, a pavilion and hammocks, AKA the secret recipe to a relaxing day of swimming and swinging. “Bob and his employees are casual and accommodating, making sure you are comfortable and always enjoying yourself,” said UF junior Matthew Elias. “The swings never get old and you’ll be jumping up those stairs and ladders to do them over and over again.” Let your inner 13-year-old go wild. This village is a bit far from campus but so adorable you won’t even care. At night, the trees lining the road of the entrance are decorated in white lights and that’s just a sneak peek into the lovely experience this villa has to offer. The Haile Village Bistro is the go-to place for dinner when the rents come to visit. Afterward, the small streets are lined with cute shops and stores. You could just window shop, but remember… you do have your parents’ credit cards at arm’s length. 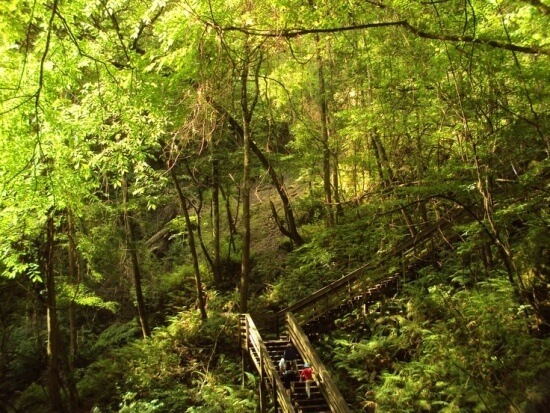 Devil’s Millhopper, a State Park in Gainesville that has been created from a huge sinkhole, gives the entire area a rainforest feel (veeery different from the desert heat that is the rest of Florida). Jog it. Walk it. Sit in non-cardio silence just enjoying the National Geographic ambience of it all. 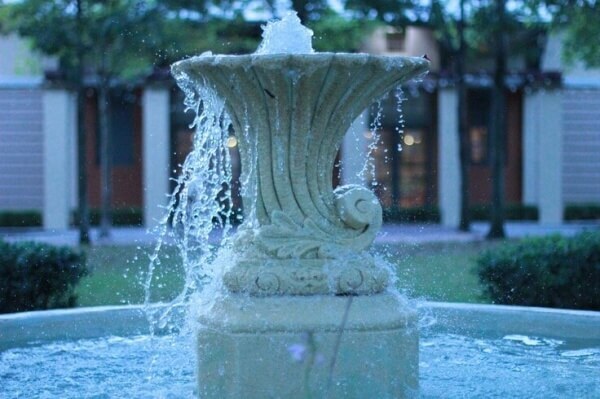 Giving it 10 of 10 stars, UF graduate Veronica Glaeser said, “It’s a nice place to step away from the usual Gainesville hustle and bustle.” Even city girls need a breath of fresh air once in a while. 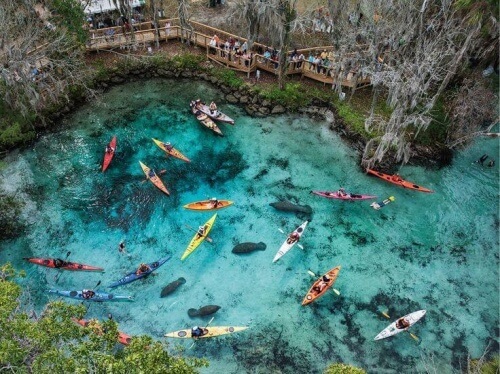 The summer heat is causing the entire population of Gainesville to start melting, so I highly recommend getting out to the springs to survive, swim, snorkel and scuba dive. If you happen to be an athletic show off, sneak in some cardio by hiking or biking the trails. For the more adventurous, pack up a tent and sleeping bags and head to the campgrounds. Imagine what kind of shenanigans you and your friends could get into with no supervision. 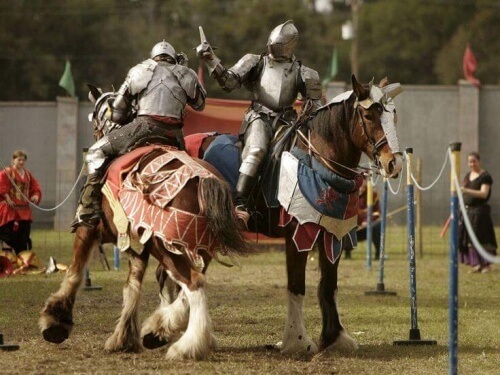 The annual Medieval Fair in the Alachua County Fairgrounds is an absolute must. How can you pass up the opportunity to dress up in medieval clothing while checking out jewelry and hand-blown glass stands? If your wallet is slim, then opt for watching the gypsy performances, magic acts, jousting and human-sized chess. UF Junior Francisco Ferrer said, “You can watch a jousting tournament, buy a psaltery and participate in archery all in the same place. Best of all, it’s a fun-filled way to learn about history through firsthand experience.” Ticket: $17. Parking: Free. Memz: priceless. Florida is flat. 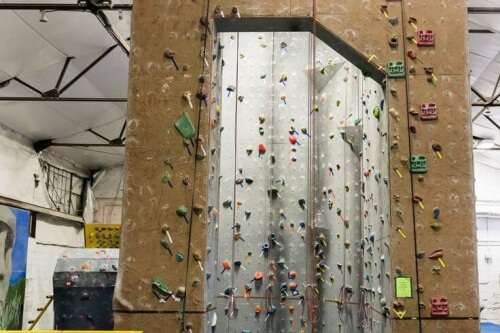 Mountain climbing is out of the question, but if you look hard enough, you’ll come across some great rock climbing places in the Gainesville area. Don’t tell the others: The Gainesville Rock Gym is one of those hidden gems. All equipment is included and you can spend as much time there as you’d like. Drag your friends or that special someone along to show off your amazing hand-eye coordination skills. What could be sexier? Marcie is a sophomore English major at the University of Florida. She loves traveling, writing, and dancing, as well as her orange cat, Milo.